Don’t be fooled by the kissing bug’s innocent name. Its painless bite can be deadly, especially for human babies, people with immune deficiencies and puppies. And the insect lives throughout Texas. This bug actually is many insects from a family of bugs that can all carry a parasite that infects mostly people, dogs and small mammals with Chagas disease, aka the silent disease. Texas has seven species of kissing bugs. On average, they vary in diameter from the size of a penny to a quarter, with dark backs that sometime are orange- or fringed in red. They look similar to a stinkbug, but with a distinctive pointed snout. 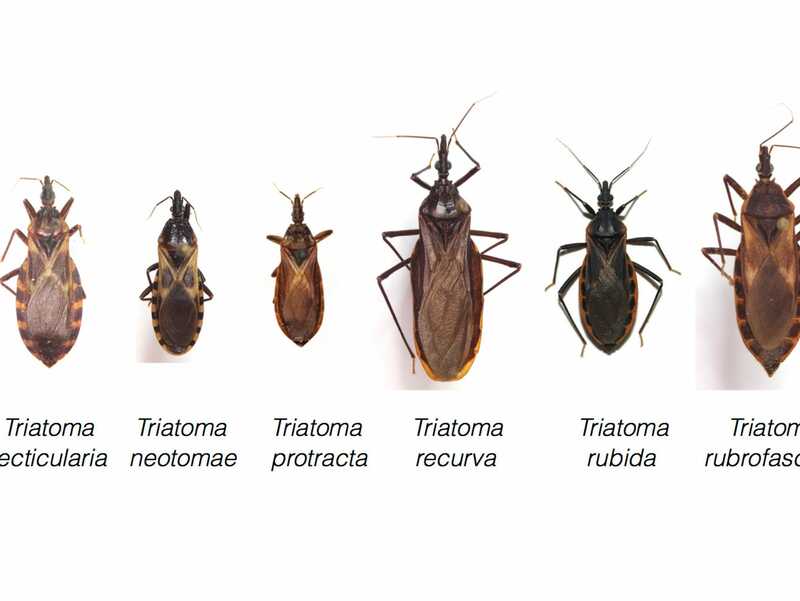 Variations of this triatomine bug are called the conenose bug, bloodsucker, Walapai tiger, and Hualapai tiger. Hispanic communities in Texas may refer to it as chinché mala, according to an online publication by Texas A&M University. Studies indicate between 50 percent and 64 percent of kissing bugs carry the deadly parasite that causes Chagas, which is considered a major neglected tropical disease, according to the U.S. National Library of Medicine. The World Health Organization estimates that 8 to 10 million people are infected worldwide, mostly in Latin America. The noncontagious disease is named after Carlos Chagas, who first described it in 1909. In 2013, Chagas was listed as a disease that must be reported to the Texas Department of State Health Services, but Chagas is not reportable in dogs. Paula Stigler-Granados leads the Chagas Task Force, as a policy and community health expert at the UT Health School of Public Health in San Antonio. In 2015, the Centers for Disease Control and Prevention awarded $544,329 grant to the University of Texas Health Science Center at Houston School of Public Health to conduct outreach and education on Chagas disease in South Texas. Stigler-Granados leads the 100-member Chagas Task Force, involving doctors, university researchers, veterinarians, and entomologists. Their goal is specifically focused on the disease in Texas, with an emphasis on raising awareness among healthcare providers about this important but neglected health threat that is under-reported and often misunderstood. The Chagas Task Force just published a guide to help Texans learn more and guard against the health risks for themselves and their pets. Kissing bugs often are found in and around dog kennels. WHERE IS THE KISSING BUG FOUND? The bug is most prevalent in Mexico, Central and South America. But it has been found in 27 southern United States, and mostly in Texas, Arizona, and New Mexico. 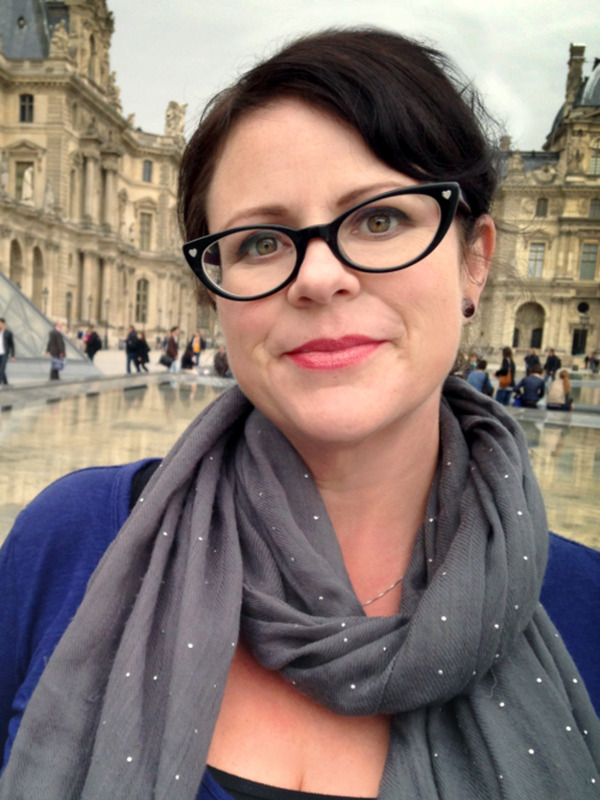 Once restricted to rural and blighted areas in the United States, the kissing bug’s range is expanding into urban and suburban neighborhoods, said Melissa Nolan, assistant professor of epidemiology at the Arnold School of Public Health at the University of South Carolina. One recently was discovered in an urban Houston home, said Nolan, who researched Chagas in humans for years at Baylor College of Medicine. Stigler-Granados has seen the insidious vector near her San Antonio home. Texas is home to many bugs that look similar to the kissing bug. This assassin bug is among those. Researchers at Texas A&M University College of Veterinary Medicine have collected more than 5,000 kissing bugs since 2012. Nearly all came from Texas. Many came from outdoor patios and dog kennels, a percentage were collected from inside homes, according to researchers at the Hamer Lab at Texas A&M University. 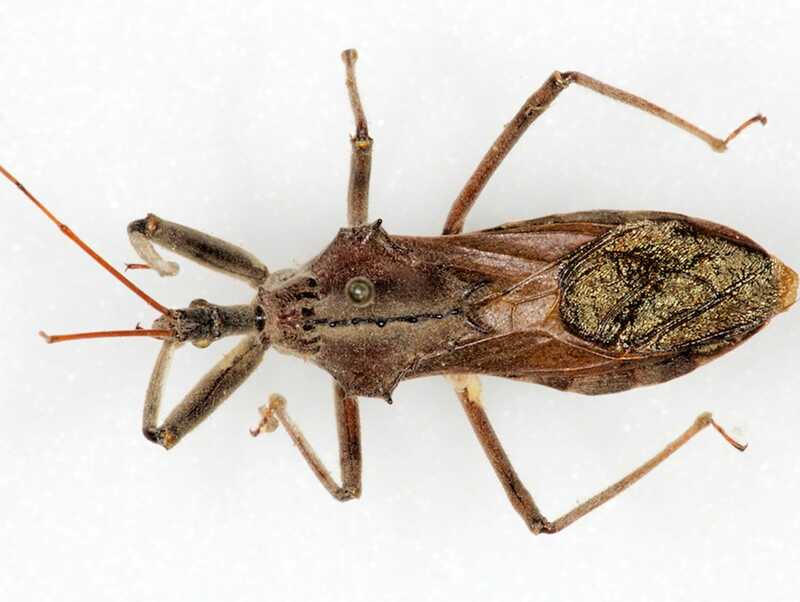 “We generally let folks know that approximately 55-65 percent of the kissing bugs that we test are positive for (the Chagas parasite),” said the Hamer Lab’s Rachel Curtis-Robles, with the Department of Veterinary Integrative Biosciences College of Veterinary Medicine at Texas A&M. There are many types of kissing bugs, but they all potentially carry the deadly Chagas parasite. Kissing bugs are nocturnal, blood-feeding insects that can fly. They mostly are seen during warmer months around dog kennels, woodpiles, cracks and crevasses, rock piles, beneath wooden decks, hunting cabins, deer blinds, under tree bark and in outdoor sheds or patios. They are sometimes attracted to outdoor lights. Insecticides can kill kissing bugs, but because they can fly, localized spraying may not be very effective. Environmental management works best. Remove wood and brush piles in or near yards and play areas for children and pets. Clean tool sheds and make sure there are no rat nests on or near your property, or wood/brush piles near the home. Keep pet food indoors. Turn off outdoor lights. If you find one, the Texas health department will test bugs for the parasite. The kissing bug was once believes to be a problem in rural or blighted areas. But the bug lives within the city limits of San Antonio, Houston and Corpus Christi. WHERE IN THE U.S. 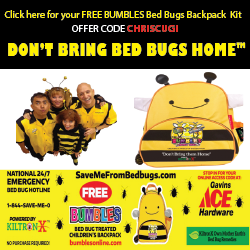 DOES CHAGAS OCCUR? The first confirmed case of chagas known to have been contracted within the United States occurred in Corpus Christi in 1955. Scientists concluded the 10-month-old girl was infected in a home where kissing bugs lived. The child ran a fever for days, and suffered a rash and swelling, but survived. Researchers say about one in 6,500 Texan are infected with chagas and most show no symptoms. This infection rate is higher than thought before, Nolan said. Most Texas Chagas cases occur around San Antonio, southward and along the Mexico border. But they also have been found along the U.S. Highway 35 corridor and in Houston. The Centers for Disease Control and Prevention estimates more than 300,000 people in the United States have the disease and 315 babies are born with Chagas in the United States annually. In recent years, more than 70 confirmed human locally acquired infections in the United States have been published. These published studies are a good indicator that physician awareness is improving, Nolan said. More than 90 Chagas infections were reported to the Texas Department of State Health Services from 2013 to 2016. This only scratches the surface, Nolan said. The Centers for Disease Control estimates 8-10 million people are infected with Chagas worldwide, and 300,000 live in the United States. WHERE DOES CHAGAS COME FROM? The CDC estimates 8-10 million people have Chagas in Mexico, Central America, and South America, where the disease is considered endemic. But it has been infecting people and dogs in the United States for decades, without being reported. Many of these victims show mild or no symptoms. Researchers suspect a growing number of infections in the United States are coming from home-grown kissing bugs. 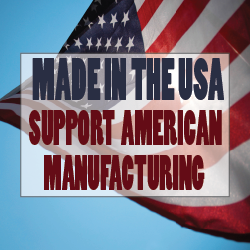 WHAT ARE THE AT-RISK FACTORS IN THE U.S.? In additional to geographic and socioeconomic risk factors, people who are most susceptible to Chagas live in poverty or rural settings, or who spend time in the outdoors camping, hiking or hunting. Patients with HIV or who are immune compromised also are at greater risk. HOW DOES THE KISSING BUG INFECT VICTIMS? The insect’s contradictory label derives from its habit of accessing human blood near the mouth. This often occurs when the victim is asleep, aided by the insect first numbing the injection area. After the bug gets its fill of blood, it defecates on or near the wound, sometimes infecting the victim with the chagas parasite through the wound, mouth, nose or eyes. The parasite resides in the insect’s digestive tract. The kissing bug has been found in 27 states in the lower United States, where it likely has thrived for at least a century. HOW ELSE IS CHAGAS SPREAD? The parasite can be transmitted by blood transfusions; from an infected mother to her child during pregnancy; or from the consumption of uncooked food contaminated with feces from an infected insect. No cases have been confirmed from blood transfusions in the United States since 2007, when testing began, Stigler-Granados said. HOW DO I KNOW IF I’VE BEEN BITTEN BY A KISSING BUG? Unlike a mosquito bite or bee sting, you may not know immediately or ever whether you’ve been bitten. Within a week, the bite area may become red or purple, swollen or look like a boil. Painless swelling of an eyelid is common. Some victims experience brief episodes of low-grade fever or a non-itchy skin rash, diarrhea, vomiting, stomach ache or loss of appetite, fatigue or body aches. Heart and digestive problems may develop years, or decades later. 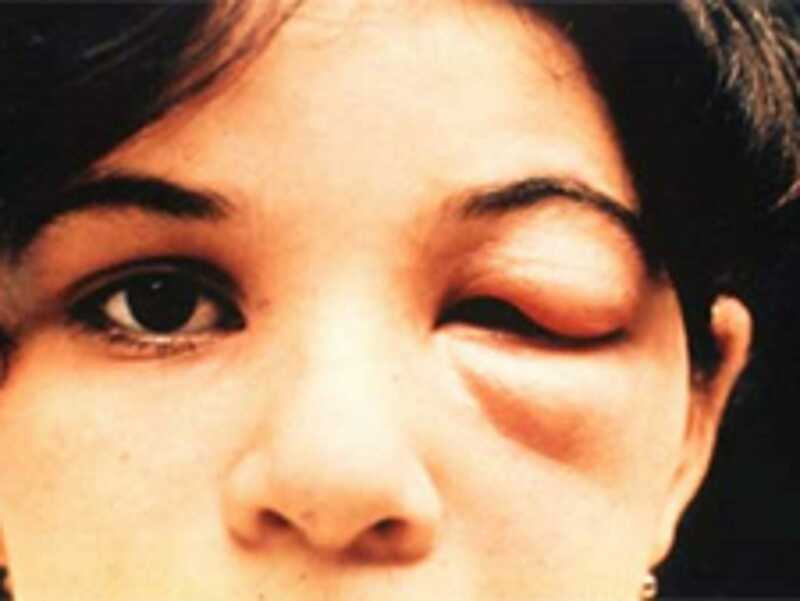 Swelling of an eyelid is a common symptom of the kissing bug bite. But many victims show no signs whatsoever. WHAT ARE THE SYMPTOMS OF CHAGAS? Infections may result in mild or no symptoms. The most common signs of infection are fever and swelling around the site of the bite, where the parasite entered the skin, nose or mouth. Acute infection is rare, but may result in severe inflammation of the heart muscle or the brain. This is most common in young dogs. Many infected people may not show symptoms for life. An estimated 30 percent of infected people will develop debilitating and sometimes life-threatening conditions. Complications of chronic Chagas disease may include: heart rhythm abnormalities that can cause sudden death; dilated heart that doesn’t pump blood well; a dilated esophagus or colon, leading to difficulties with eating or passing stool, according to the CDC. The most severe symptom of chronic Chagas is heart failure. About 30 percent of Chagas patients who are diagnosed with heart failure are likely to die within three years. IS THERE A VACCINE, TREATMENT OR CURE? There is no vaccination that protects against Chagas for either dogs or humans. Treatment in infants younger than 1 is an effective cure, according to the Chagas Coalition. The U.S. Food and Drug Administration recently approved benznidazole for use in children 2-12 years old. It is available through your doctor. The drug, Nifurtomox, is available to physicians through the CDC. Studies have documented that treatment is only effective when given prior to the onset of heart disease. If you’ve ever seen a kissing bug in or around your home, cabin, deer blind, or tent, or think you’ve been bitten by a kissing bug, talk to your doctor about options or consult the Chagas Task Force. There are commercially available lab tests for Chagas disease and most local and state health departments can help patients and health-care providers learn more about treatments. To find a clinic in your area, consult the American Society of Tropical Medicine. The test usually is covered by insurance. Consult the Chagas Task Force. If you find a kissing bug, carefully capture it and consult your state health department, or photograph it and post it on the Chagas Task Force Facebook page. Chagas-related heart failure in the United State costs nearly $1 billion annually, according to Research America. All dog breeds are susceptible to Chagas disease, whether they live in rural or urban areas. The kissing bug can infect all dogs of all breeds, though rarely. This happens in three ways, either from feces deposited after a bite; by ingesting the insect or its feces; and by congenital transmission from mom to puppies. Infections are found in both rural and urban areas. Young dogs seem to be most susceptible, but this may be the result of puppies eating the bug. In some cases, death occurs within three weeks. But, as in humans, most dogs with the disease may show no obvious symptoms for a time. Common symptoms of acute Chagas include diarrhea, lethargy, seizures, swollen lymph nodes, fluid retention, and heart failure. Chronic symptoms include lethargy, fainting, increased heart rate or abnormal heart rhythm, and fluid buildup in the abdomen or lungs. Most often, the disease is silent for years while it damages the heart and other organs. 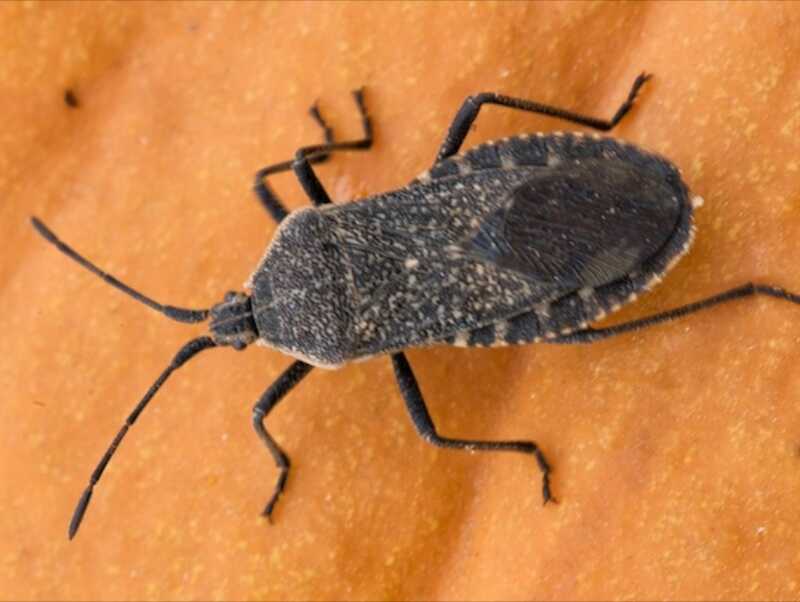 This is a squash bug, which can be mistaken for a kissing bug. Insect control is the best defense. Consult a licensed pest control professional. The insects can live in cracks and crevices of wood and rocks. They are attracted to the heat and carbon dioxide emissions coming from mammals and are most active at night. Again, there is no vaccine or cure, though a new drug is undergoing FDA review. The Texas A&M College of Veterinary Medicine is leading the charge against Chagas by combining studies of vector populations, wildlife reservoirs, domestic dogs, parasite genetic strains, laboratory animals, and human risk. The public may submit photos of suspected kissing bugs for identification to kissingbug@cvm.tamu.edu or through the website.